Since opening in November 2013, the Kisii Eye Hospital has gained a reputation as an ophthalmic center of excellence in western Kenya: a for-profit hospital with a social mission of providing care to all, regardless of ability to pay. The hospital has an outpatient clinic, state-of-the art operating rooms, a dispensing pharmacy, an optical shop, accommodations for out of town patients, and a van that provides transportation to remote rural areas. It has the capacity to deliver some 82,000 outpatient visits and 5,000 operations per year. Using a tiered payment system, the hospital has become financially self-sufficient, ensuring its long term viability. The Rwanda International Institute of Ophthalmology (RIIO) was founded in 2011 by Dr. Wanjiku Mathenge and Dr. John Nkurikiye to enhance eye health education, provide technical advice, support the delivery of ophthalmic services, and promote eye health in Rwanda and the surounding region. 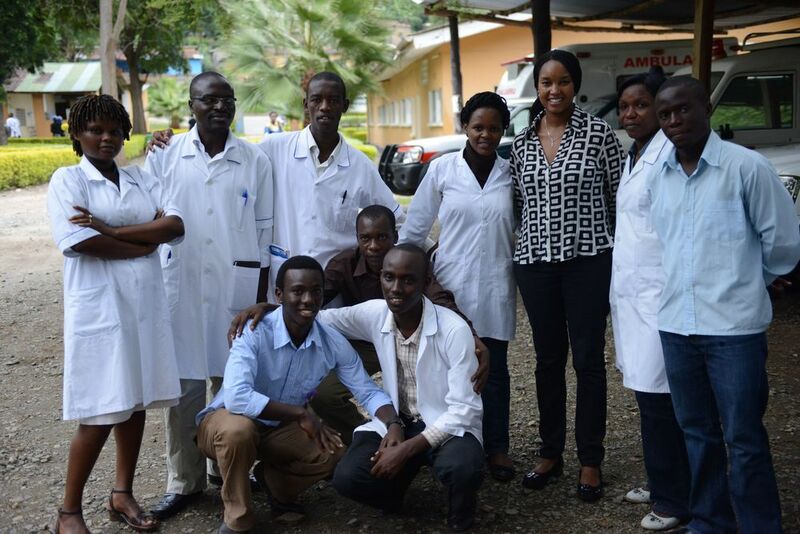 The Fiat Lux Foundation delivered $109,000 worth of equipment and supplies to our host doctors in Kigali. This included a green laser, YAG laser, A and B scan ultrasound, two indirect ophthalmoscopes, four computerized visual acuity testing units, two Haag Streit slit lamps, a Tonopen, glaucoma drainage implants, intraocular lenses, sutures, etc. The green and Yag lasers and ophthalmic ultrasound were the first ones in Rwanda, a country of 11 million people. Tarabai Desai Eye Hospital in Jodhpur, India has the goal of eradicating avoidable blindness from the Thar Desert region of Western Rajasthan. The institution is a non-profit eye hospital providing affordable eye care to all, regardless of ability to pay. Surgeons at the hospital perform modern cataract surgery with foldable lenses, retinal laser treatment, glaucoma, and strabismus surgery. The Fiat Lux Foundation donated much needed equipment to the hospital, including the autoclave pictured above, which is used to sterilize surgical instruments. The Fiat Lux Foundation is a 501(c)(3) tax-exempt national nonprofit. Your donation is tax deductible to the full extent of the law.